Greyhound Birthday Card – Birthday Flowers! 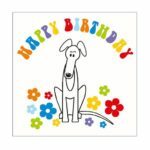 Greyhound Birthday Card – Happy Birthday! 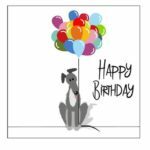 Lurcher Birthday Card – Birthday Balloons!